Every now and then my eye hits upon a copy of The Essential Rumi there in its third-from-the-bottom-on-the-right-hand-side shelf of books and I pull it down to spend an hour or so with the only whirling dervish of my acquaintance. The book is a translation of works by thirteenth-century mystic poet Jelalluddin Rumi. The translator is Coleman Barks, whose English interpretations have sold more than half a million copies worldwide. 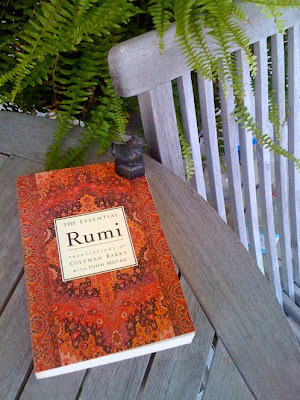 In 2006 Rumi was the best selling poet in America, surpassing even Whitman, Dickinson and Frost. Five years later and he is still one of the most widely read poets in the US. The Persians and Afghanis call Rumi “Jelalluddin Balkhi.” He was born in 1207 in Afghanistan, at that time a part of the Persian empire. 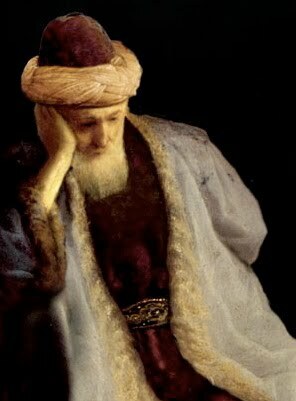 His family emigrated to Turkey while he was still a boy, from where the name Rumi, meaning ‘from Roman Anatolia’ comes. Rumi has been called “the greatest mystical poet of any age.” He composed over 70,000 verses of poetry of divine love and ecstatic illumination. In his early life he was a pillar of the Islamic faith and a scholar who never touched alcohol, until he met a wandering dervish and was transformed into an enraptured lover of God. From that time forward Rumi moved from a dependance on knowledge to one of vision. He reached a rare level of intimacy with God, and his poetry—often described as ecstatic poetry—is a spontaneous flood of love for God. Ecstatic poetry is grand in both theme and scale, with an intensity not of mind but heart, or what can be called the opening heart. The poetry seems to break forth spontaneously from an inspired speaker often in an altered state of consciousness. It involves transcending the mundane and limited self to merge with something greater. Rumi passionately believed in the use of music, poetry and dance as a path to God. The poem below is taken from the early pages of The Essential Rumi.